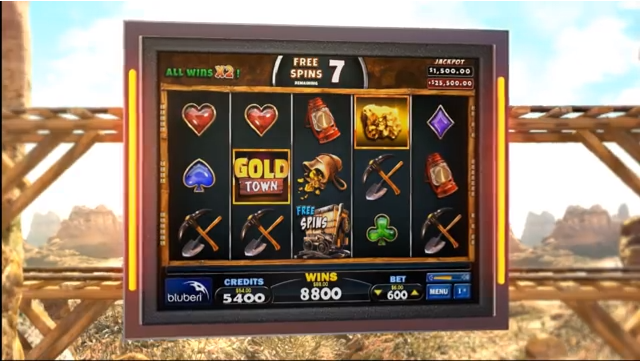 Coming very soon to an online casino near you is this mining-themed slot called Gold Town. It’s from Canadian developer Bluberi Gaming and tells the story of a gold rush prospector searching for his fortune in the dusty Californian hills. Features include some top quality graphics and animations, a progressive jackpot and three separate bonus features – Gold Mine, Dump Trolley & Gold Nugget – in which to find those lumps of gold and your fortune. We’ll have the full details of this game as soon as possible so check back shortly for the full review.